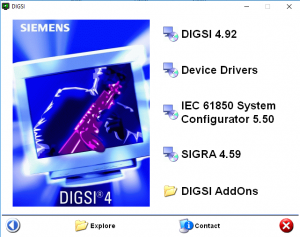 This Download also contains all the released DIGSI 4 device drivers. These can be individually and independently installed. 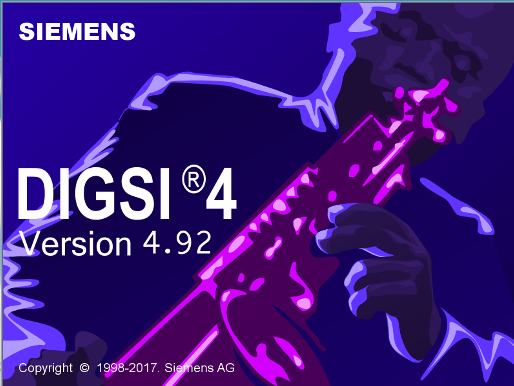 Download and unpack the DIGSI 4 DVD installation file. Select and install the DIGSI 4 software or the released DIGSI 4 device drivers. Secure communication (Ethernet) between DIGSI 4 V4.92 and devices of the family of SIPROTEC 4 and Compact Class by using DTLS protocol. An update of the EN100 firmware is required in order to use that feature. This function can be disabled (enabled by default). New password protected connection between DIGSI 4 V4.92 and devices of the family of SIPROTEC 4 and Compact Class via Ethernet. An update of the EN100 firmware is required in order to use that feature. This function can be enabled (disabled by default). Whenever an online connection between DIGSI 4 and SIPROTEC 4/Compact Class devices fails a respective dialog appears that is to be confirmed by the user. 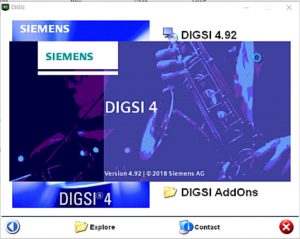 After an evidently failed connection attempt between DIGSI 4 and SIPROTEC 4/Compact Class devices make that aforementioned dialog visible by moving other dialogs or windows. When 2 devices in DIGSI 4 are connected via GOOSE and the ExtSP is mapped to a destination (forwarded) in the destination device, this destination is deleted in the System Configurator. Is it possible to operate via the front or the rear interface. For the moment, no priority can be applied to communication channels. Access via one connection may disturb the concurrent communication to another connection (changing the baud rate, transfer of parameters). Hi, I just paid $9 through PayPal, how do I download the “Download Digsi 4.92 Installation Gide – Pass to Unzip – Serial Number”, I need the Serial Number, thanks. In PayPal method: After payment, you will receive the download link after thirty miniatures. Estou tentando baixar o digsi 4.92 para rodar na VM windows 7, porém não mais disponibilizam no site da Siemens. baixei o digsi 4.82, porém não encontro o driver da familia siprotec 7sj80x, o mesmo não aparece para ser clicado. The link for the device drive and digsi 4.92 will be sent to you by today. Zip file with password. I can not extract.